Do you deserve good advertising? The obvious answer is yes. As a client of an advertising or marketing agency, you expect good work, and rightfully so. You would never agree to pay a company for services if you knew they would leave you less than satisfied. So, why is it that some clients get good work (and good results) from an agency, while others are quickly looking for a new one? It could be the agency – some agencies are inconsistent with the quality of work that they provide clients. It could be the account manager – some are better than others (and some are just not very likable). But did you ever think that it could be you, the client? The customer is always right, except when they’re not. You know that just as well as I do. You’ve battled difficult customers and formed great relationships with others. That’s just the way it goes. I’m not writing this blog post to point a finger at you (or any clients for that matter). Quite the opposite, in fact. I’m writing to tell you that you should expect good work from your marketing agency, but you will increase your odds of receiving good work by being a good client. The late David Ogilvy, considered by many to be the father of advertising (sorry, Don Draper), wrote about how to be a good client in his book, Confessions of an Advertising Man. 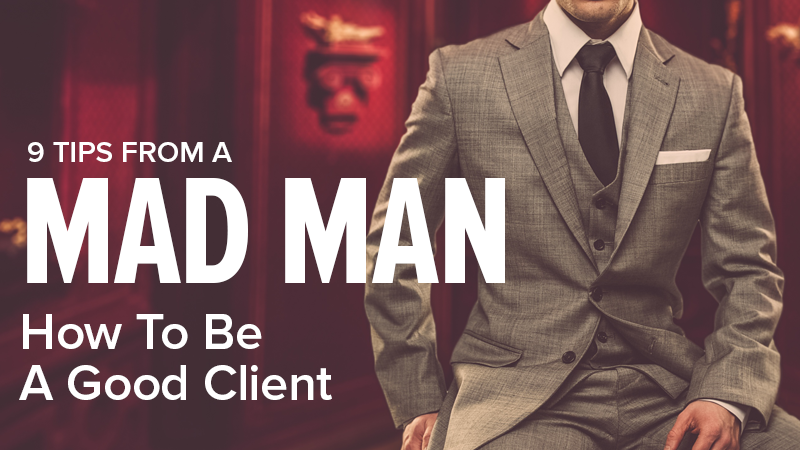 In honor of David Ogilvy and the end of Mad Men, here are nine ways you can be a better client (and likely get better work). 1. "Emancipate your agency from fear." There is nothing worse than a new client saying, “I’m giving your agency a three-month test.” Even if this is the case (and it’s your right to do so), don’t tell your agency this. Why? Because it creates a ticking time bomb. We don’t offer contracts. We want you to stay with us because you want to, not because you have to. But when an artificial clock is installed, your agency feels increased pressure to deliver as the numbers count down. This pressure creates a fear-based environment. Fear impedes creativity, risk-taking and the open dialogue necessary for your agency to be great. 2. "Select the right agency in the first place." As a client, you should do your homework. You have dozens of agencies to choose from. Don’t choose blindly. My advice? Ask your agency what they value most. If your values align with your agency’s values, then there’s a strong likelihood that you’ll get along. 3. "Brief your agency very thoroughly indeed." If you want your agency to market you successfully, then you have to tell them about your business. Don’t assume anything. You must be thorough in the explanation of your business. What product or service generates the most revenue? When are your busy and slow seasons? What is your unique selling proposition? We hold a strategy session for every new client that signs up with us. The strategy session allows us to get to know you and your business. Some strategy sessions are much better than others, and they’re usually indicative of the relationship that follows. As an agency, the more we know about you, the better. You’re busy, but you should never be short with your agency during this initial meeting. It’s extremely difficult to produce good work after a bad strategy session. 4. "Do not compete with your agency in the creative area." As an agency, we assume one thing – you need help. Maybe you don’t know the first clue about marketing. Or maybe you know it quite well, but don’t have the time or resources to do it yourself. Either way, you're paying us to be creative. Agencies don’t like to compete with their clients for good ideas. Collaborate? Yes. Compete? No. As a client, the ball is in your court, but I encourage you to be open to new marketing ideas. If your agency suggests a strategy that doesn’t pan out, that’s on them, not you. 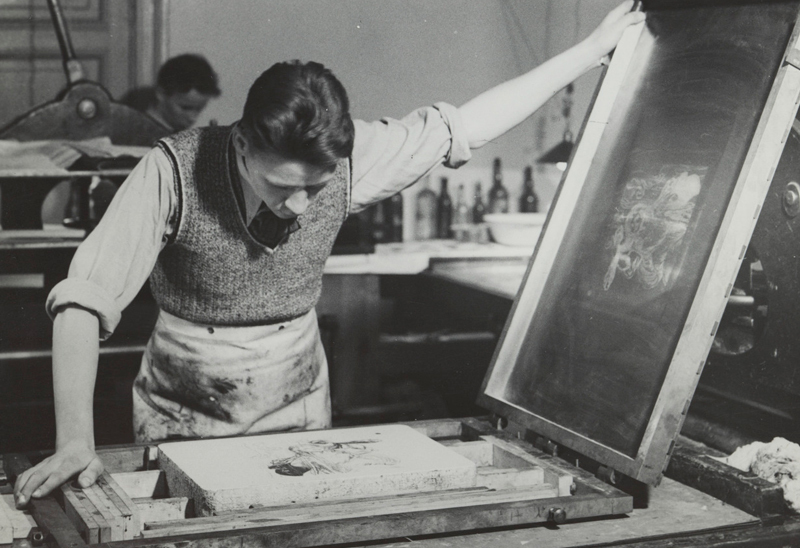 Let your agency sweat out the creative work. Hiring an agency should make life easier. 5. "Don’t strain your advertising through too many levels." As an agency, it’s desirable to have one main point of contact. Often, we’ll be introduced to the business owner during the initial strategy session, but will only communicate with an assistant from there on out. Effective communication is not easy. It becomes even more difficult when it turns in to a game of telephone. Appoint someone to be the primary contact for the agency you’re working with. Tell this person to be easily accessible to your agency. This person will also play a big role in determining your marketing success. Make sure he or she knows that. Hold them accountable for poor communication just as you would your agency. 6. "Be candid, and encourage candor." If you don’t think your agency is performing to a satisfactory level, then be direct in saying that. Don’t beat around the bush. Your agency can't improve if it doesn’t know there is a problem. With that being said, be respectful in your feedback. We encourage honest and open dialogue, but we don’t take kindly to bullying. On the other side of the coin, encourage your agency to be candid too. If your agency is generating calls, but the guy answering the phone is driving business away with poor customer service, then you should be open to implementing changes on your side. Be fair, but set high standards for your agency out of the gate. High, but achievable expectations will bring the best out of your agency. If your agency delivers by meeting or exceeding your expectations then be generous in awarding praise. Your agency will be energized by this. Time is money. And in this case, time is your money. If your agency needs something, do whatever you can to send it over right away. There’s a reason it’s asking. If your agency calls or emails you, respond as soon as you can. Your agency can’t work for you if it doesn’t have everything it needs. And if your agency can’t work, your marketing strategy isn’t working either. Nothing derails the potential for good marketing like a lethargic client. You don’t have bottomless pockets. Your agency knows that. But you shouldn’t assume your agency is trying to take you for a ride if it suggests that you should increase your budget. We are committed to letting the data drive the strategy. We don’t suggest that you spend more because we feel like it’s a good idea. If your paid advertising budget is performing well, but it’s running out halfway through the month, you’re losing out on a significant amount of potential business. If your agency asks you to increase your budget, ask why. If the reasoning is solid and supported by data then you should listen. We love our clients. We want nothing more than to see their businesses succeed. But remember, clients get the advertising they deserve. Follow these tips to be a good client and get the best out of your agency. I have a small startup Government Relations firm (est. 2013). I am at a place where I would like to officially brand the firm with a new logo, website and social media presences. My budget isn't large, but would like a plan that is reasonable and can build as my business does. This post is so cool and insightful! You really had done your homework to come up with this! It has answers to most of my questions!